Hooray it’s Friday and here is our 5th and final job related Korean word of the day for this week. Today’s Word is Teacher or 선생님 in Korean. Of course there are many teachers in Korean in both public and private sectors. Education is considered very important and Koreans spend a lot of money on it. Thank you for your time and if you have any questions or requests please let us know. Please enjoy learning to write in Korean with part 9 of our practice Korean writing series. If you have missed any of the previous 8 parts please CLICK HERE to catch up. 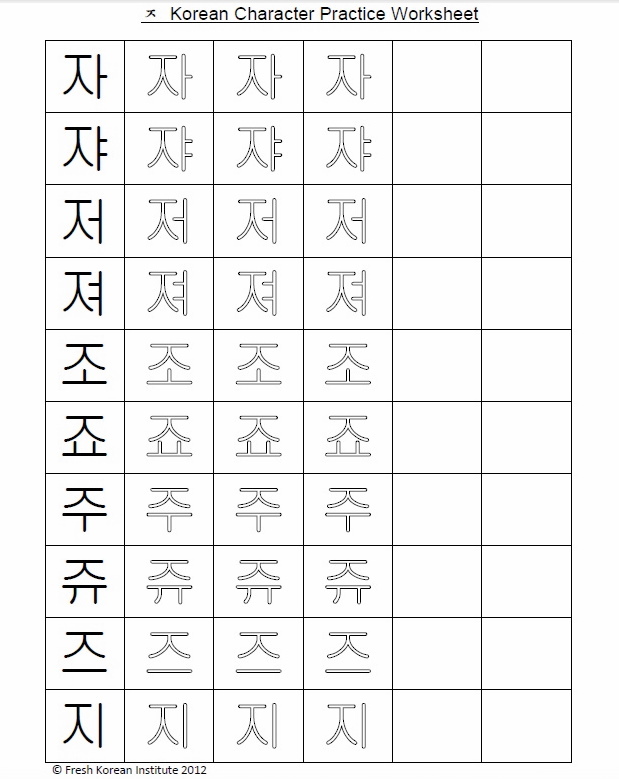 Today we are going to look at the Korean consonant “ᄌ” which has a sound similar to an English “J”. Here are a few good examples of “ᄌ” being used in the following Korean words: 집 (Home/House), 좋은 (Good) and 젤리 (Jelly). Check out this video to listen to the native way of pronouncing each of the different characters from this worksheet. Thank you for using Fresh Korean to learn a little Korean today. If you have any questions or comments please let us know. This is job word of the day number 4. This is admittedly a very uncommon vocation however it something many want to do. 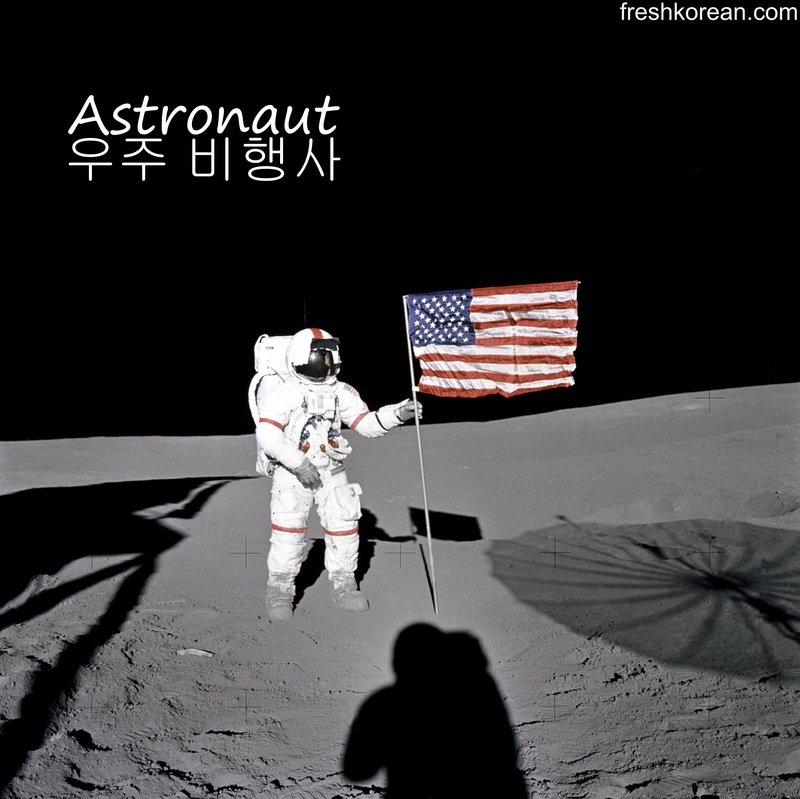 Today’s word is Astronaut or 우주 비행사 in Korean. Thank you for your interest today and we hope to see you again soon. This is the first part of our Basic Korean Conversation series, we hope you enjoy this free Korean conversational printout / download. This particular conversation focuses on a brief meeting between two friends/coworkers, and shows phrases such as Hello, How are you? and Goodbye. Thank you for your interest and if you have any questions, requests or comments please let us know. For more Free Resources please click here. 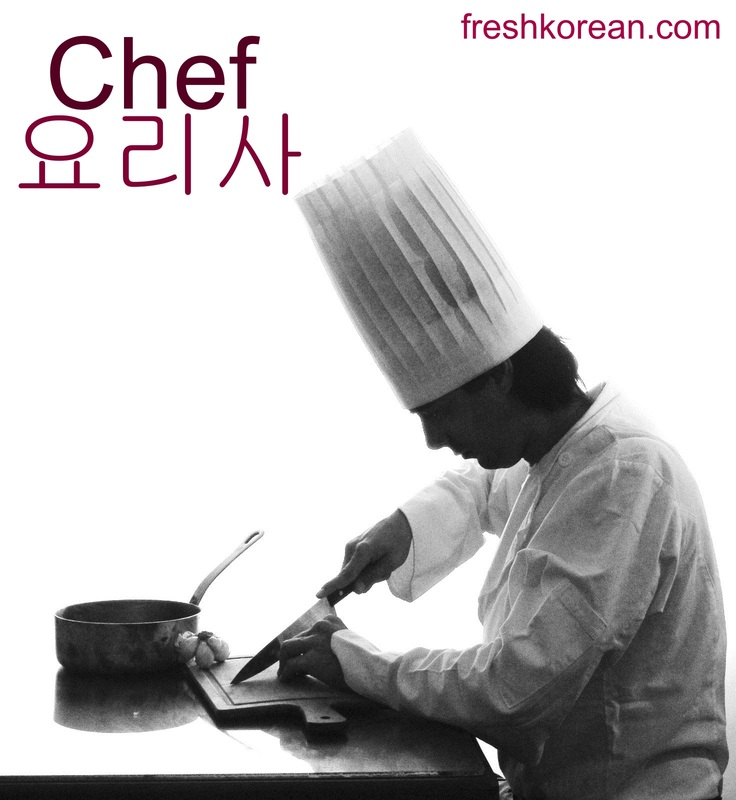 For our Korean Courses please click here. 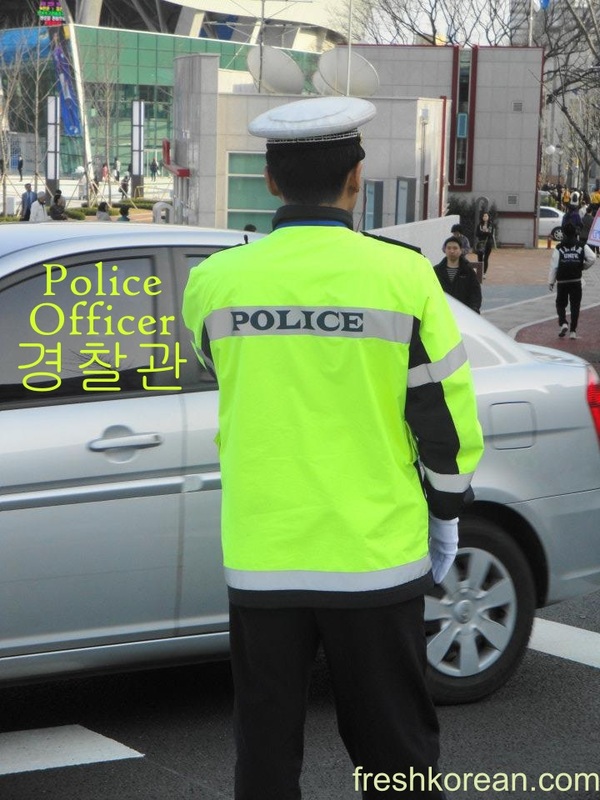 This is day 2 of our jobs word of the day week, and today we’ve chosen Police Officer or in Korean Police 경찰관. Thank you for your time and we hope to see you soon. Hello and welcome to day one of our Jobs word of the day week. 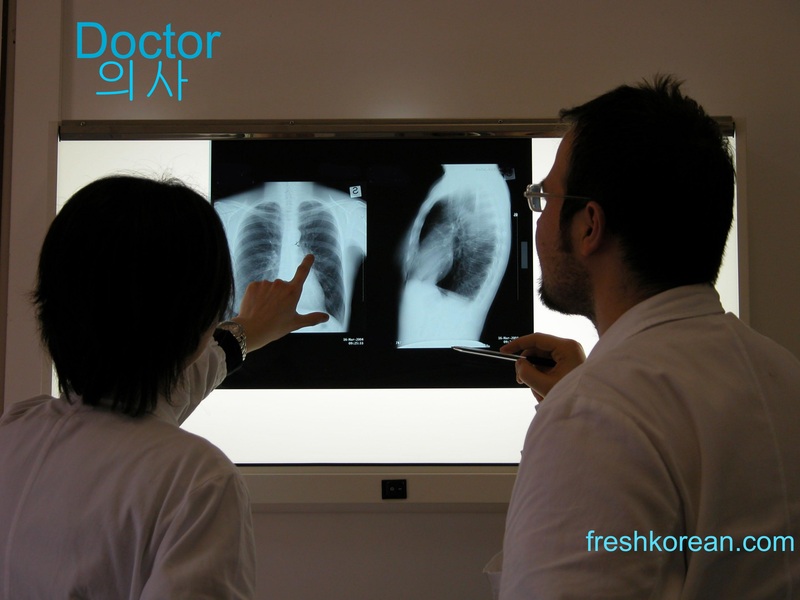 Our first job is a very important one it is Doctor or in Korean 의사. If you have any questions or comments please let us know and don’t forget to return tomorrow for Job word of the day number two.